Κτισμένο το 2015, το Sun Inns Hotel Sentral Brickfields αποτελεί ξεχωριστό σημείο σε Κουάλα Λουμπούρ, καθώς και έξυπνη επιλογή για τους ταξιδιώτες. Σε απόσταση μόνο 1 KM από το κέντρο της πόλης, οι επισκέπτες βρίσκονται στην κατάλληλη θέση για να απολαύσουν τα αξιοθέατα και τις δραστηριότητες. Με την βολική του τοποθεσία, το ξενοδοχείο προσφέρει εύκολη πρόσβαση στους προορισμούς της πόλης που πρέπει οπωσδήποτε να δείτε. Το Sun Inns Hotel Sentral Brickfields προσφέρει επίσης πολλές εγκαταστάσεις για να εμπλουτίσετε την διαμονή σας στη Κουάλα Λουμπούρ. Μια επιλογή από εξαιρετικές ανέσεις όπως τα δωρεάν WiFi σε όλα τα δωμάτια, ημερήσιος καθαρισμός, υπηρεσία ταξί, 24ωρη ρεσεψιόν, φύλαξη αποσκευών σας περιμένουν στο ξενοδοχείο. Οι πελάτες μπορούν να επιλέξουν από 38 δωμάτια καθώς όλα διαθέτουν μια ατμόσφαιρα απόλυτης αρμονίας και γαλήνης. Εξάλλου, το ξενοδοχείο διοργανώνει πολλά ψυχαγωγικά δρώμενα έτσι ώστε να έχετε πολλά πράγματα να κάνετε κατά τη διαμονή σας. Το Sun Inns Hotel Sentral Brickfields είναι ο ένας και μοναδικός προορισμός για εσάς που ψάχνετε ποιοτικά καταλύματα στη Κουάλα Λουμπούρ. 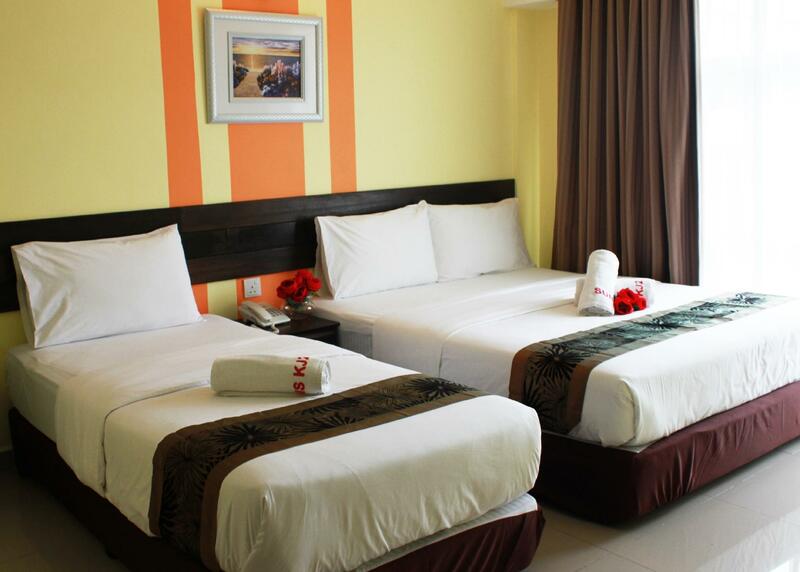 Very spacious room, clean and nearby to KL sentral. Just 5minit walking, the area also lot of stall,groceries and restaurant. Dear Mr Rosni Zainudin, Thank you for your feedback. On behalf of Sun Inns group, we would like to extend our thank you for the good comment. We are really happy to hear from you that you are really happy to stay with us hopefully you will continue to support us and don’t forget to share your memorable memories with your friend. Hope to see you again. Thank you. Sincerely, Operation Manager. At first the inn is hard to find if you don't have map with you, most people you ask for the street show you the wrong direction. But if you have the map you can find it, it's very close to kl.sentral, you can just walk there. The receptionist 24 hours. The room is very clean with it own bathroom and tv, although it's not that big. They prepare iron table and water for drink on every floor. The neighbourhood probably a bit shady. Not many people around. Dear Valued Guest, Thank you for your feedback. On behalf of Sun Inns group, we would like to extend our thank you for the good comment. We are really happy to hear from you that you are really happy to stay with us hopefully you will continue to support us and don’t forget to share your memorable memories with your friend. Hope to see you again. Thank you. Sincerely, Group Manager. The hotel is small and with bad smell inside. Suggested for those who comes with vehicle. Plenty of parking nearby. However, there are not much restaurant around for you to eat. Its a tranquil and peaceful place. Staff are very friendly. There is a late check in for me on that day whereas the hotel had encountered with their cleaning worker had run away. Thus, the room was not ready yet when I reach. Dear Mr Chew, Thank you for your feedback. On behalf of Sun Inns group, we would like to extend our thank you for the good comment. We are really happy to hear from you that you are really happy to stay with us hopefully you will continue to support us and don’t forget to share your memorable memories with your friend. Hope to see you again. Thank you. Sincerely, Group Manager. Towels, bedsheet, pillowcase wore-off and with stain, look very old. Should provide slippers as floor is tile, or absorbing floor-mat, the small piece of floor carpet does not absorb water for wet feet. When I went for check in I was given the room key and when I checked the room , the room was completely dirty and not made up after the earlier occupant had vacated. I complained and then they asked me to wait for 20 -30 minutes just outside the room and they were cleaning the room. The room was never the way that was shown on Agoda. Really had an bad experience with Hotel and Agoda booking. Same happened with other hotel booking with Agoda . May I know why Agoda lists these kind of hotels ? Dear Valued Guest, Thank you for your comment. We are very sorry for your bad experience. We will take appropriate action to address the problem your raised in relation to house keeping & prevent future occurrence. Hope to see you again . Thank you. Sincerely, Group Manager. Booked a room from agoda, will check in Around 10-11pm When i reached the hotel , they tell me that my room has been fully booked, have to change other room I fully pay the room by debit card, why my room still can fully booked? Is hotel system or agoda system problem???? I picked this place when staying at the Prescott hotel around the corner last time, which was a little noisy. For almost the same price this hotel offers a lot less, and I would go back to the Prescott next time. +location +price +clean ++hot/cold water dispenser on each floor -- housekeeping was usually not before 7pm(!). -- housekeeping was done only superficially -- staff woke me up at midnight to ask to pay the outstanding bill for the room now instead of in the morning. Dont now if this is normal in malaysia, but in the rest of the world this is inaccepable. Overall this was the first time i stayed at this hotel, and i am sure i will be staying here again. 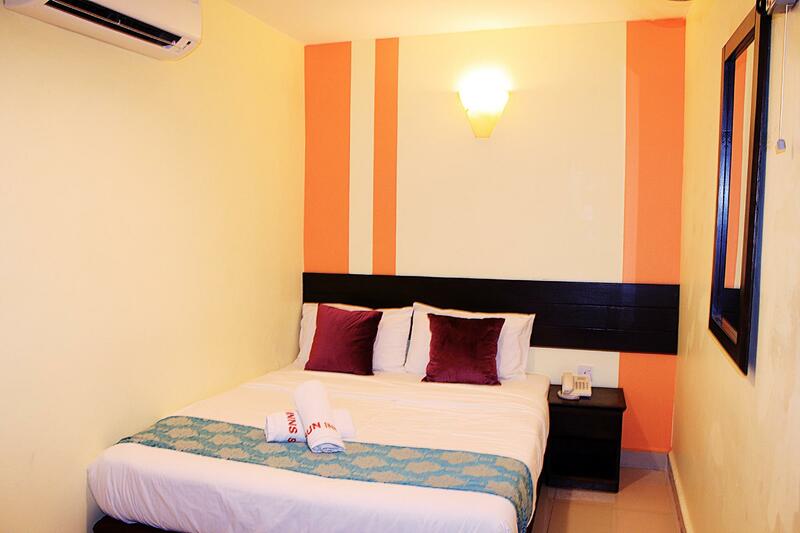 The location is near KL Central, the central hub of Kuala Lumpur which is very convenient. The room was bigger than i thought, and don't be fooled by the external view of the hotel, the room was very nice and clean. Staff was friendly, and they really wanted to make sure we had a nice stay. Next time in KL, this is one of the main places i would consider staying again. Dear Valued Guest, Thank you so much for choosing to stay with us and hope to see you again. Thank you. Sincerely, Group Manager. Only if you stay at higher level. First night i stay at first floor.. The WIFI is terrible and even the cell phone can't catch up any signal.. After i requested to change to level 3 (room number 40X), no more problem for that. Also, avoid stay at the room beside the elevator, the "ding" sound can be clearly heard at your room. Other than that, everything is ok. The service is kind of slow. I requested to change the tower only before i go for breakfast, back after 2 hour and still not yet replaced. Should provide coffee or tea and spoon as discover a glass but without spoon before. So frustrated.Rooms service have to request personnelly at the reception. Already put a sign pls made up the room but after coming back at night discovered the room still dirty, bath towel is wet. Toilet tissue empty no replacement has been down for that day. Room cleanliness was okay, just dissappointed with reception when we check out. Unfriendly. Dear Mrs. Rohayu. Thank you for your comment. Please allow us to apologize for the inconvenience you experience during your stay. Hope to see you again. Thank you. Sincerely, Group Manager. Dear Mr. Mohd Saifullah. Thank you for your feedback. On behalf of Sun Inns group, we would like to extend our thank you for the good comment. Please continue to support us and don’t forget to share your memorable memories with your friend. Hope to see you again. Thank you. Sincerely, Group Manager. Σταθμός Monorail Tun Sambanthan στα 0.42 χλμ.